In June, the multifunctional crane made for Guangxi Laibin Yinhai Aluminum Co., Ltd. was tested and accepted successfully. It is anoverhead crane for electrolytic aluminum. This crane and all functions run well, which is highly praised by customers and successfully delivered on June 8, 2017. Guangxi Laibin Yinhai Aluminum Co., Ltd. was founded in December 2006, which is an important project in the Guangxi Autonomous Region. Electrolytic aluminum multifunctional crane is an important equipment in the production of electrolytic aluminum, which is employed to carry out the process of shelling, anode replacement, fishing residue, feeding, aluminum discharging and other process operations. It has complex structure, multiple function, and combines with hydraulic, pneumatic and other knowledge. This project of Guangxi Laibin Yinhai Aluminum project includes a total of 10 electrolytic aluminum multifunctional cranes. The successful finished of the first crane of this project rely on the leadership's attention and the joint efforts of all the staff of the project team. 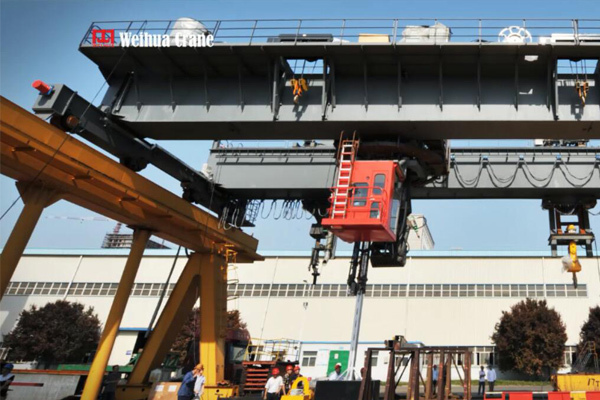 The crane has made a breakthrough in technology and has laid the foundation for the production of follow-up cranes and further enriched the production experience of dedicated cranes for aluminum industry.